AN ENTIRE ISLAND ALL TO YOURSELF! 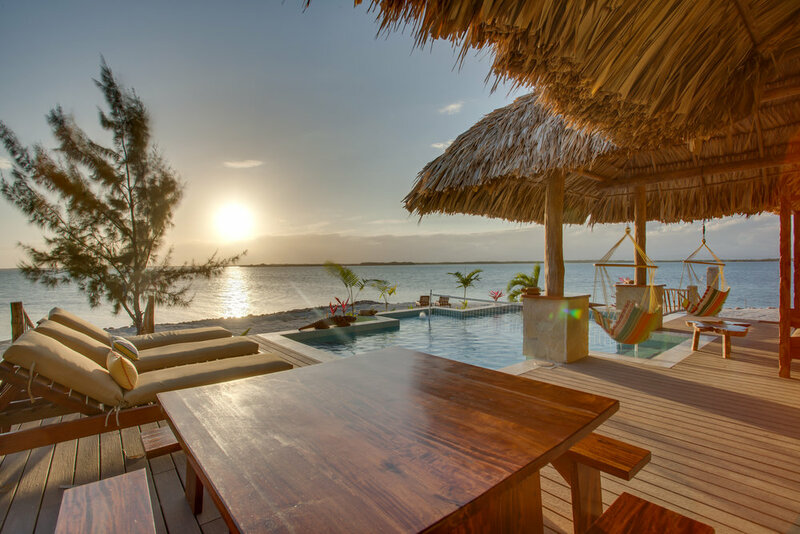 The ultimate private island experience awaits you off the coast of the Placencia Peninsula in Southern Belize. 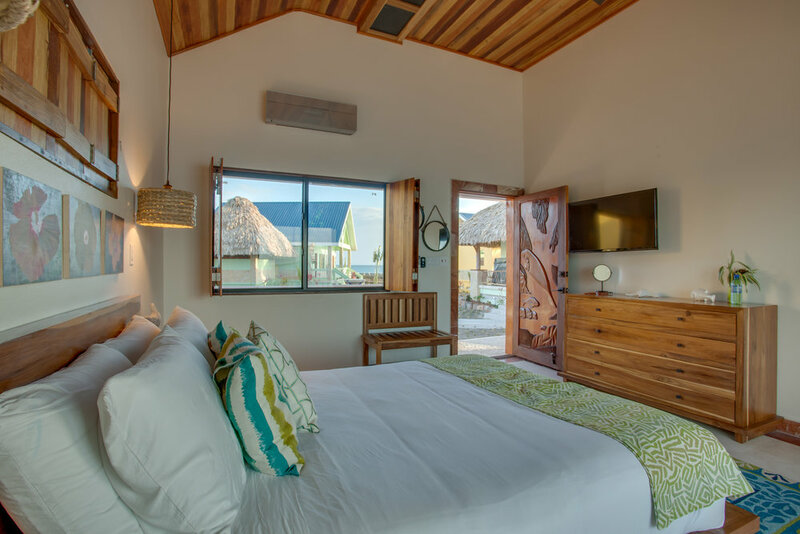 Surrounded by the azure waters of the Caribbean Sea, Little Harvest Caye is your beautiful 1.5 acre island paradise perfectly situated to have panoramic views in all directions of the Maya Mountains, open ocean and Placencia Village. 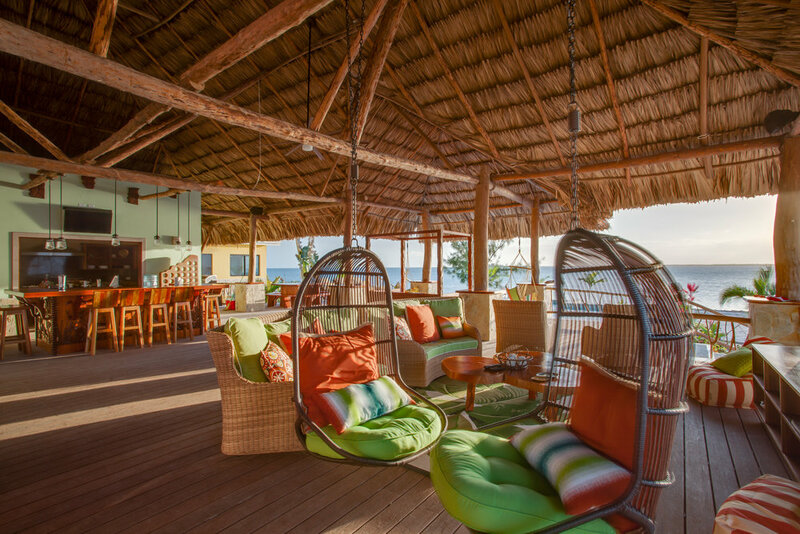 Little Harvest Caye offers an experience like no other. Enjoy the services and amenities of a luxury resort on your own private island just a short 5 minute boat ride from the charming Placencia Village. You have a boat and driver at your disposal any time to go for dinner, bar hopping, shopping, or taking in the many other sites and attractions. You truly have the best of both worlds - enjoy the privacy, exclusivity and uniqueness of being on a luxury private island with all the comforts and convenience of a 5 star resort. 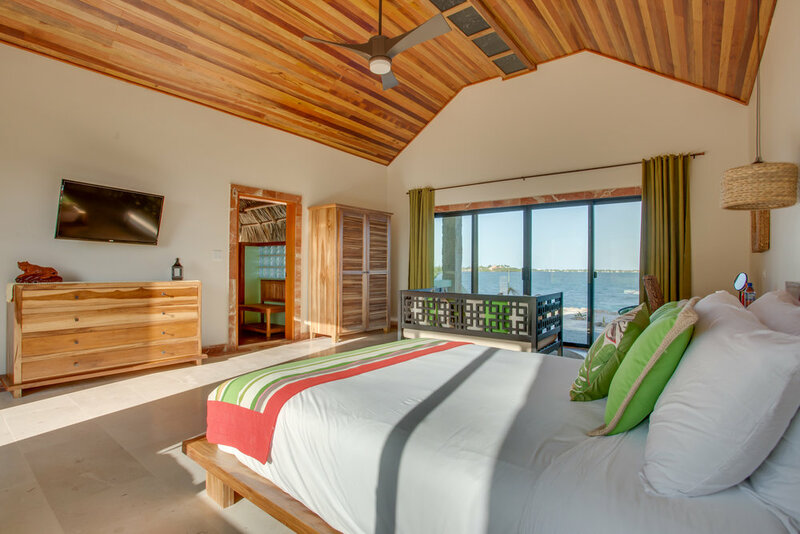 This uniquely designed tropical island includes 5 private bedroom suites, main living & entertainment area, pool and bar. 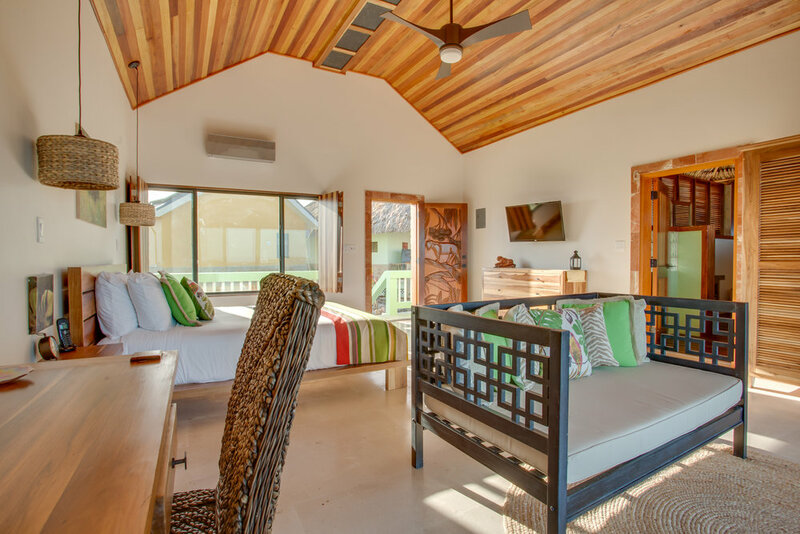 Only your group and the onsite staff, who have separate detached housing, will be on the island during your stay. With a private chef, concierge, and daily maid service all you have to do is put up your feet and relax. Perfect island for an amazing vacation with friends and family. Located in the tropical heart of Central America - south of Mexico and east of Guatemala - Belize is just a short flight from many U.S. cities. Our reservations team will work with you to arrange your short transport from Belize City International Airport to Placencia, whether by flight or shuttle car. When arriving in Placencia, staff will pick you up at the airstrip and take you to the Little Harvest Caye boat to be transported to the island. Placencia is an ideal location to explore all Belize has to offer. In Placencia you have access to both land and sea tours and excursions most less than 1 hour away. Our concierge will assist in planning and booking your activities to enable you to get the most out of your trip. Placencia and the area around Little Harvest is home to some of the best salt water fly fishing for Bone, Permit and Tarpon on the world as well as amazing snook, snapper and other fishing literally right off of the island. Placencia is also know for amazing diving and snorkeling including an annual visit each year in the Months of March to June of the amazing and elusive Whale Shark. 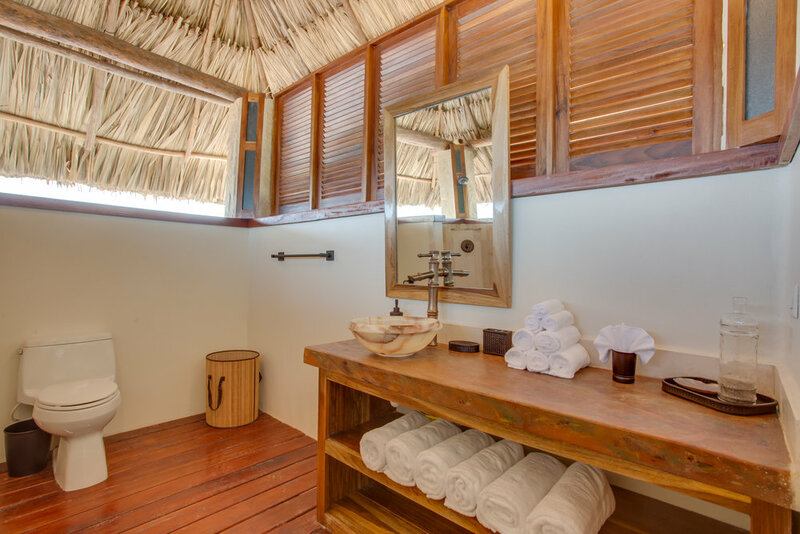 Little Harvest Caye is your own amazing private island with a world class location, high end amenities, and an experienced, highly trained personal staff to cater to your needs. Take advantage of hassle-free vacation planning by our expert reservations team. We provide one on one assistance to make all your island vacation dreams a reality. Our keen eye for detail ensures that your island getaway is planned smoothly and you have the most amazing and worry free vacation. Leave the details to us while you relax and enjoy all that our private islands have to offer. Enjoy a massive open-air living area, full walk around bar, eat in kitchen and private study. The living area overlooks the pool and the sandy white beach with amazing views of the Maya Mountains. The pool is a large freshwater, concrete pool with tanning ledge and layout deck. 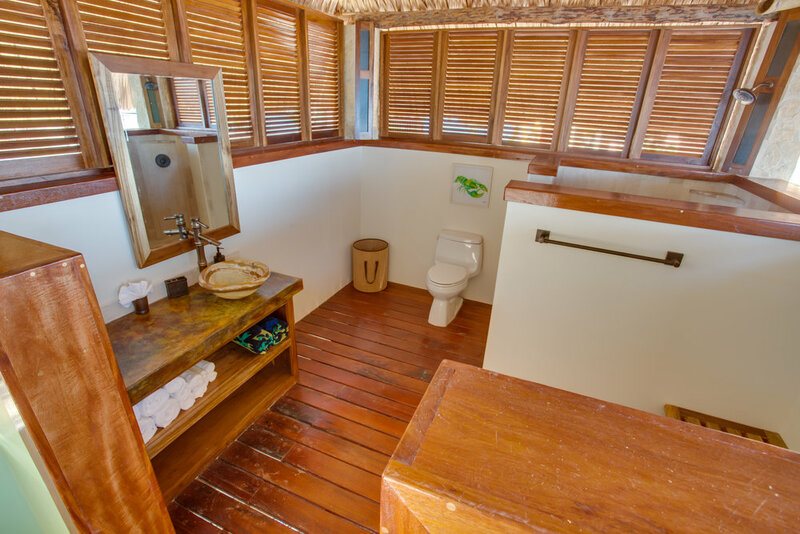 Private bathroom with a walk-in shower as well as separate large outdoor shower. Your Private Island Vacation Starts Here! Fill out the form below and our reservations team will reach out to you shorty. Let us know all the possible dates for your vacation. Dates are required to start and end on a Saturday.